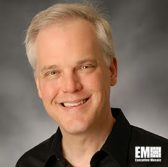 David Egts, chief technologist for Red Hat’s public sector, told MeriTalk in an interview published Wednesday that the microservices technology works to help the developer split complex, large applications into small components and share them with other members of the DevOps team. “Instead of one big hulking team working on one big hulking application, you can have small teams working on different microservices and all they have to worry about is their service,” Egts noted. He also cited how a cloud-based microservices architecture offers flexibility and scalability to government agencies and commercial businesses based on needs and other requirements. “When you think about that and map that to the cloud [you see] that makes microservices very amenable to the cloud because the cloud is all about elasticity,” Egts said. “I can spin up or shut down virtual machines and services very quickly by using the cloud as opposed to a monolith application,” he added.